Coachella festival announced the full lineup for 2015 which includes Drake, AC/DC and Jack White. The California festival made the announcement on Twitter, with more than 16,000 retweets in an hour. 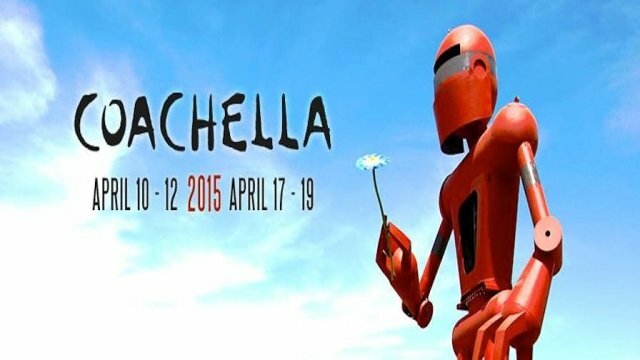 David Guetta, Interpol and Florence and the Machine will also play over two weekends in Indio in April. Acts like Tame Impala, Steely Dan and Alt-J are also on the line-up. Festival organizers say admission passes will need to be bought with a shuttle pass to get people into the desert festival. The festival promotes the same three-night line-up over two consecutive weekends in the Southern California town of Indio. It has a reputation for being the venue where top acts from the 1980s and 1990s reunite or kick off a tour. Last year, Atlanta rappers Andre 3000 and Big Boi reunited after eight years as OutKast on the Coachella stage, while Stone Roses and Blur reassembled in 2013 to headline the festival. With more than 40 years behind them, AC/DC released their 15th studio album Rock or Bust in December. AC/DC, comprising Brian Johnson, Angus Young, Stevie Young, Cliff Williams and Phil Rudd, will kick off their Rock or Bust live tour in May in the Netherlands before a gig at Wembley Stadium in July. Jack White, who has performed at Coachella in the past as the front man for The White Stripes, will headline the festival’s Saturday line-up, while hip-hop artist Drake will be the top act for the first time on Sunday. The line-up of around 150 acts this year also includes Ryan Adams, Hozier, FKA twigs, Kiesza, SBTRKT, Alesso and Kaskade. Tickets for Coachella 2015 go on sale on Wednesday, January 7, and cost $375.